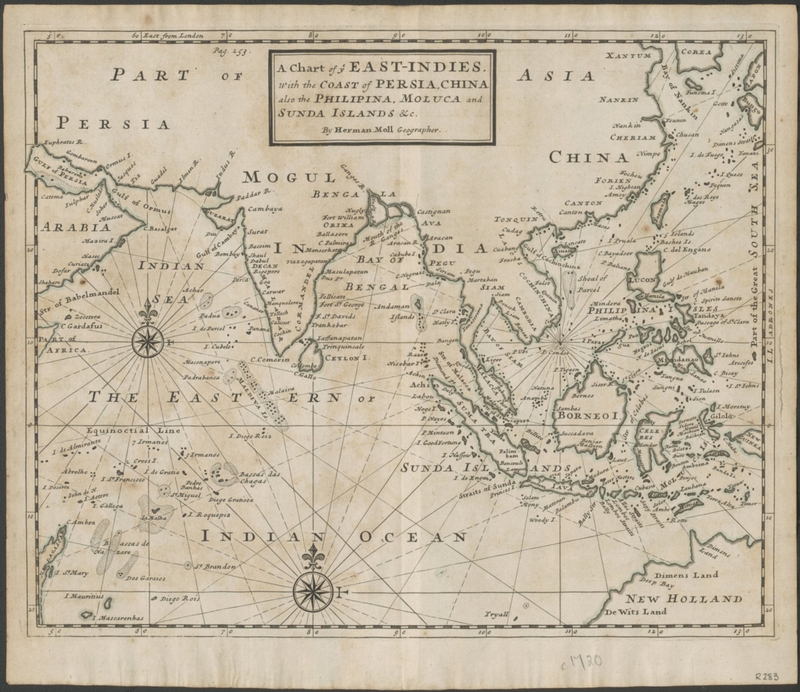 A chart of ye East-Indies with the coast of Persia, China also the Philipina, Moluca and Sunda Islands, &c.
Map of East Indies and southern Asia. The map features good detail of the islands in the northern Indian Ocean and throughout the East Indies at the expense of topographical detail of the Asian inlands - only the coastlines are annotated. Decorative features include two large compass roses and rhumb lines. At top left section of map: Pag. 253. Map 1 from: A collection of voyages and travels ..., London, Printed for and sold by Thomas Osborne of Grays Inn, 1745. Vol II.